Understanding and selecting loans for investment residential properties (rental houses or apartments) or for commercial properties can makes even the most experienced borrowers have doubts. (For a refresher on common loan structures, please see our page on Loan Structures). Whether buying a fixer-upper or refinancing a long-time rental house, you can never learn too much about the various types of loans that are available. Though we are happy to present you with information on the types of loans, it is important to note that Stronghill Capital does not make loans that fall into many of these categories. At Stronghill, we prefer to focus on our niche of lending against existing properties (based on the current property value) and with maturity terms of one to five years in the future. If we do not lend for what you need, we may be able to refer you to reputable lenders who do. Owners of small– and mid-sized businesses often utilize programs through the Small Business Administration (SBA) to borrow against their real estate, but these loans can take many months to secure and are extremely bureaucratic. Sometimes, conventional banks can help, but often not. Private lenders like Stronghill Capital can fill the gap. 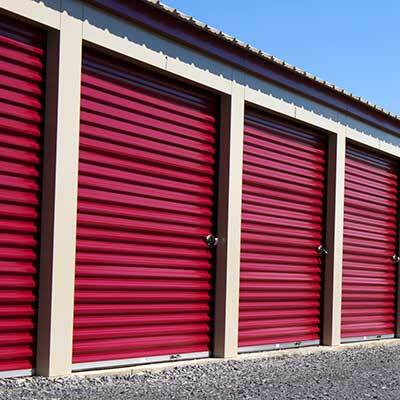 Loans for owner-occupied buildings can be done quickly, allowing owners to finance inventory, overhaul a production facility, or modernize a warehouse. Owners should expect to pay a few percent beyond a traditional mortgage, but receive substantially more flexibility. We help business owners grow and prosper every day and take pride in the service that we provide. Both new and established landlords have challenges. It can be hard to get financing if either the borrower is new to being a landlord or the property is recently renovated. Experienced landlords are often limited to the number of loans they are allowed to have with conventional banks and realize the importance of flexibility with their lender relationships. 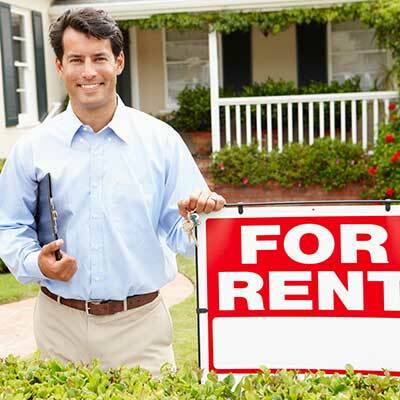 We specialize in helping landlords, whether they have one rental house or a 300-unit apartment complex. Our experience as both landlords and lenders gives us tremendous insight and flexibility. The interest rate on such loans is a bit higher than a conventional mortgage, but our clients tell us it’s worth it for the customized approach that we provide. Often, borrowers need short-term (less than 12 months) financing while waiting on other financing. They may borrow against an existing building while waiting on a conventional mortgage process or they could be waiting to sell the property after a county approves zoning changes. These short-term loans can be made by either conventional banks or private lenders, but banks typically only make very large bridge loans – often not considering loans of less than $10 million. Those in need of a bridge loan will generally need a clear exit strategy of how their new financing will be achieved. While the interest rate may be five to ten percent higher than a conventional mortgage, it is normally worth it for the short-term. Stronghill sometimes provides bridge loans if we understand the exit strategy, and we often work with those who have a bridge loan and are looking for more permanent financing. Hard money loans (HMLs) are likely the most common non-bank loan in the country. The term is a bit vague, and sometimes refers to any short-term loan (normally 12 months or less) backed by real estate that is lent by a private lender rather than a conventional bank. 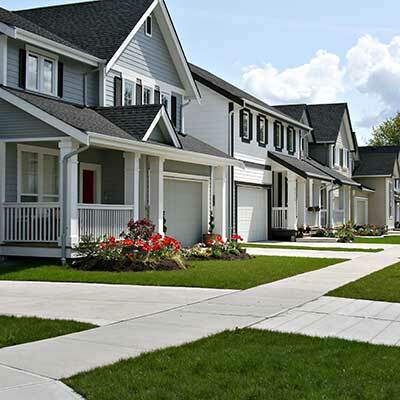 Most commonly, hard money loans are used to purchase and rehabilitate or “rehab”existing residential properties. HMLs often lend money on “as repaired value” or ARV, which can mean borrowing substantially more than against the as is value. The higher amount lent often makes it possible for the borrower to entirely finance repairs to the property. HMLs almost always come with regular inspections for rehab progress, short-term limits on capital, and a very quick fuse on foreclosure if the borrower does not pay religiously. Better lenders require borrowers to have experience with flipping at least a few houses previously, or they will charge higher rates for those without experience. Interest rates differ around the country, but generally range from 10-20% plus several percent upfront in fees. Most hard money lenders make much of their money by turning over the money quickly and getting new fees from new loans. Depending on the quality of the property, Stronghill may be able to approve a loan against the as–is value of the property, but that rarely makes as much sense as a conventional hard money loan. We also work with a number of hard money lenders to provide financing to those who decide to hold properties as rentals after fixing them. It can be challenging to get bank financing on newly repaired properties even with good credit, and we are happy to lend against them. Construction loans are appropriate if you have or are buying a piece of vacant land and want to build something on it. Major banks make a limited number of construction loans to proven entities (national home builders, construction companies specializing in office buildings, etc.). If you do not have experience with new construction, certain private lenders may be willing to make construction loans at higher interest rates if you have a history with real estate. If you have no real estate history, it will be very hard to get such a loan. Construction loans are useful in getting money for building structures that may well exceed the value of the property. Lenders will limit risk by regularly inspecting the property as the building progresses, but the increased risk means lenders are very picky about borrowers and can charge higher interest rates. The company building their 100th $10 million office complex may just pay a couple percent more than a conventional mortgage, while an individual with limited experience may well pay three times as much interest, that is if they can even qualify to get a construction loan. While Stronghill does not make construction loans, we often lend against an existing property (as is) to finance the construction of another. We also regularly provide a “takeout” for borrowers who have built the property and now need financing for it. Established investors or owners of commercial buildings, who have good credit may qualify for a traditional mortgage from a bank. The major advantage is a better interest rate. However, the paperwork can take months, flexibility is limited, and servicing quality can differ dramatically. The bigger the loan size, the more an absolute dollar difference interest rate can make. Most of our clients who take loans exceeding a million dollars are likely to convert to a conventional mortgage if they are able to in the future. Others prefer our flexibility and knowing that we will help them work through future unique situations, often with a quick turnaround needed. We have added properties to a loan in days, swapped collateral for clients, and changed loan lengths to better meet client needs. Banks are not likely to do the same. Interest rates on such mortgages are often one to two percent higher than conventional home mortgages. If you hope to transition to a conventional mortgage but aren’t quite ready, Stronghill may be able to help. Likewise, if you continue to expand and have tapped out your conventional lending capabilities, we most likely can help. The first thing to determine is the type of loan that you need for your situation. The more you know going in, the more likely you are to get a positive response from lenders. If you are not sure, or if you just want to talk through your situation with a knowledgeable person, give us a call. We are happy help, and even if we don’t do your type of loan, we’ll try to refer you to someone who can.